Roast the brinjal on a medium flame till well cooked and the skin has charred completely. 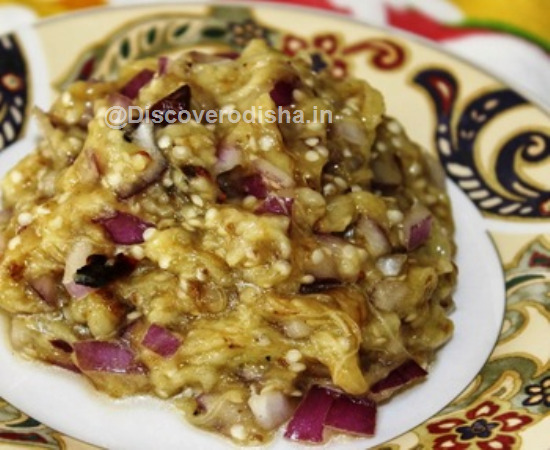 Cool, peel and mash.Take a vejal Add the salt, green chilli choped,mashed brinjal and mustard Oil then mix properly . Add the chopped coriander and mix well.Serve hot.